Upon returning to Kericho to help a new group of aspiring entrepreneurs, the volunteers of Balloon Ventures took time to catch up with some of the entrepreneurs who were awarded funding in 2014. Jenifer Chepkorir, a young entrepreneur and college student from Kericho, already ran her own successful business selling fruit, tea and chapatis in the town centre before her affiliation with Balloon Ventures. From her own market research, she could see that there was a real demand from her customers for a new café in Kericho. She realised that she could pursue this idea and test its viability by taking part in the Balloon Kenya programme. Balloon’s business training showed her how to keep and grow her customer base, effectively manage her finances, make her business more efficient, and the Balloon volunteers further helped by offering practical assistance in physically setting her café up. Jenifer’s café business required plenty of time and effort to start up, but has continued to grow ever since. 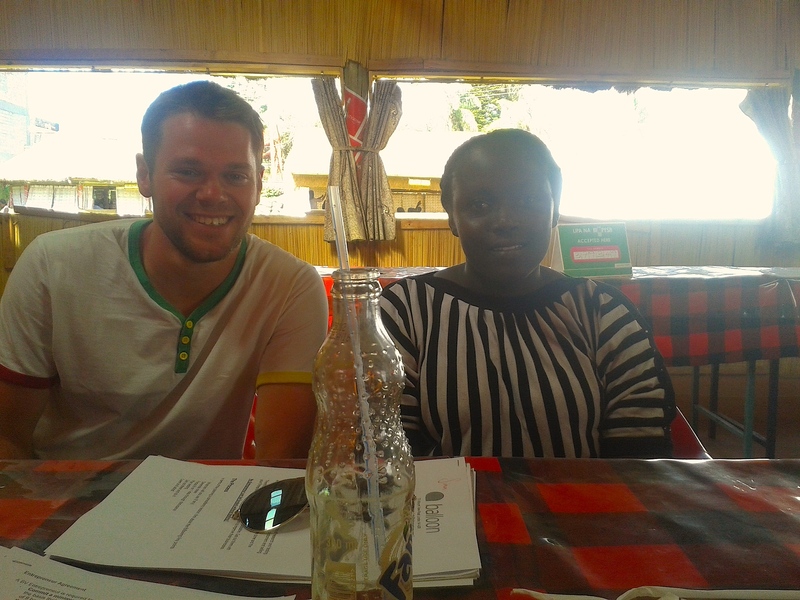 Jenifer was also quick to recommend other local entrepreneurs to join the Balloon Kenya programme. And where does she see her business heading next?